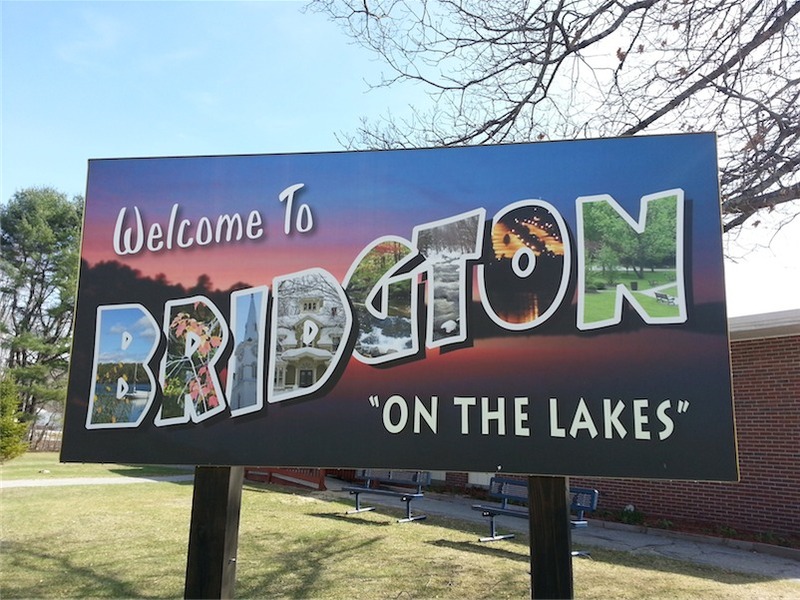 There are a lot of reasons to make a stop in Bridgton, about an hour northwest of Portland. Not only is it a great place for outdoor adventures with its mountains and trails, the village-feel of downtown offers an eclectic shopping experience. Here are three stops in this Lakes Region town that will keep a daylong, warm-weather adventure interesting and fun. The Maine Mountain Guide rates Pleasant Mountain as a “moderate” hike, and that is accurate for people who hike periodically and have a good fitness level overall. If this is the first hike you’ve done in five years, you’re going to find this mountain a serious challenge. From the Ledges Trail on the southeast side of the mountain, you’ll experience a steady climb for 1.8 miles with an elevation gain of about 1,600 feet to the summit. The trail is well-marked with blue trail markers, a few painted blazes and signs at intersections, including some with mileage to mark your progress. There is a nice lookout point about halfway up the mountain for those who decide they’ve had enough climbing (bragging rights to summit aren’t always as important as enjoying the day). The summit offers a wonderful panorama of the White Mountains and points west. There is ample space for a picnic lunch without feeling like you have to sit right next to other hikers. It can be a popular place on a sunny day. Bring a bottle of bubbles for some silly fun on the breezy summit. The hike takes about four hours roundtrip, with a leisurely lunch. See a panorama video from the summit. TRAILHEAD COORDS: 44.0246, -70.7976; There is a small parking area across the street from the trailhead. DOG-FRIENDLY: Yes, on a leash. The trailhead for Pondicherry Park is behind the Magic Lantern. Trail maps are available to visitors from the trailhead kiosk. There are several boardwalks on the park trails. The covered bridge on the trail. Metal stairs descend from the bridge for hikers to explore the brook below. There are about two miles of trails covering easy terrain at Pondicherry Park. The trailhead is behind the Magic Lantern movie theater in downtown Bridgton. The trails feature boardwalks and a couple of bridges over the brooks to make for a pleasant walk in the woods. It's a real eclectic mix of stuff to examine in this shop. Pet products are well-represented in the shop. Reading the silly signs can offer some LOL moments. I liked the bag my purchases were put in just as much as what I actually paid for. Clearly a tchotchke from a different era but still available at the shop. T-shirts run the gambit of tourist-y Maine shirts to ones like this. A well-stocked option of Maine-made maple syrup and honey. This shop might look small from the outside, but they make use of every inch of the place inside. It is packed with tchotchkes and food and antiques and funny signs and all sorts of things that seem wildly unrelated. The Bridgton Chamber of Commerce website (mainelakes chamber.com) boasts that the store’s inventory tops out around 10,000 items in this “quirky, old-fashioned country store.” You could whip through the place in less than five minutes, but it’s much better enjoyed if you savor the experience. For the detail-oriented shopper it takes some time to examine all the nooks and crannies of the place. You might be drawn into reading the sign quips after spotting, “To live long eat like a cat, drink like a dog.” From drinking to husbands, the sign fodder is pretty dang funny. And the creamy sweet goodness of the penuche fudge or locally bottled maple syrup can make for a nice souvenir. The Water's Edge gallery is across the road from the Magic Lantern. The bead selection is abundant. Displays of jewelry that can made in classes offered by the gallery give people an idea about what they can learn to make. Hand-crafted jewelry is also available to purchase as well. This is a gallery of locally made jewelry but also sells crafting supplies (beads, wire, tools) and some clothing. It’s an interesting mix of items for sale, but most notable are all the different kinds of beads. If you’re a crafty-type or aspire to be, this stop will get your creative juices flowing. The shop owner teaches classes and has all sorts of supplies on hand. After a day of hiking you’re unlikely to want to dive into a craft project, but you can stock up on some beads or simply browse the jewelry on display for ideas to try another time. An ice cream stop along Route 302 on your way back to Portland. The Magic Lantern is a movie theater that also hosts a pub. For a classic diner experience, Ricky’s Diner on Main Street is an option for breakfast, lunch or dinner. The Gazebo, an ice cream stand on Route 302, is now open for the season and can be a great way to wrap up a day. For the 21-plus crowd, the Tannery Pub in the Magic Lantern movie theater might be an even better option. This adventure is only a snapshot of three stops to make in a town that has a whole lot more to do than a single day trip can cover. Get directions to these locations with this map.